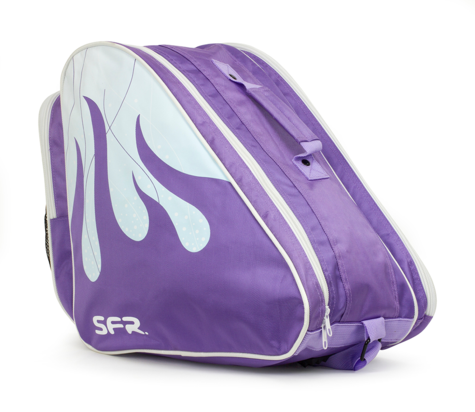 The SFR Specialist Heavy duty Ice bag is the perfect companion to keep skates safe and dry. Some of the great features in this stylish bag include the 840 D double lined heavy duty nylon construction, with 2 separate compartments plus a useful rear pocket for smaller items. A padded shoulder strap makes for comfortable transportation while the useful carry handle makes it easy to pick up and go. And the fresh snow flame design available in 4 colours will make this bag stand out in any crowd!